Earlier this year, at my local public library, I was looking for the novel “Ancillary Justice” by Ann Leckie. Unfortunately, they didn’t have it. But there on the “L” shelf I spotted “Country of Origin” by Don Lee. I remembered reviewing this book when it came out in 2005, so I picked it up and – hey! A tiny speck of immortality. I’m sharing this to show that I have been reviewing books for a long time. Over the past 20 years, I’ve written and published about 300 reviews covering somewhere north of 320 books. And I’ve done numerous author interviews on top of that. The reason for this self-hype is that I will give a presentation called “Anatomy of a Book Review” at the twelfth annual Japan Writers Conference in Otaru, Hokkaido, on Oct. 14. The conference is a free event that would be well worth paying for. There will be nearly 40 presentations this year, covering an array of writing topics. You can read descriptions of them (listed alphabetically by presenters’ first names) here. And you can find some of my more recent reviews, and many by my colleagues, at The Japan News’ Bound to Please page. The organizers of the Japan Writers Conference, an annual English-language event held in a different Japanese city each year, have just circulated an e-mail announcing the basic details of the 2011 conference, to be held in Kobe in October. I attended the two most recent conferences, in Kyoto and Tokyo, and found them very worthwhile. All sorts of writers attended – including poets, novelists, journalists and critics – and the dozens of presentations covered a wide range of topics related to the creative, technical and business aspects of writing. You can read my recap of the 2010 event here, and you can watch video clips of my own presentation at that event here. My topic was “Interviewing Creative Subjects,” and I had a few more points to make on that topic in an earlier blog post. This is to announce the Fifth Annual Japan Writers Conference. 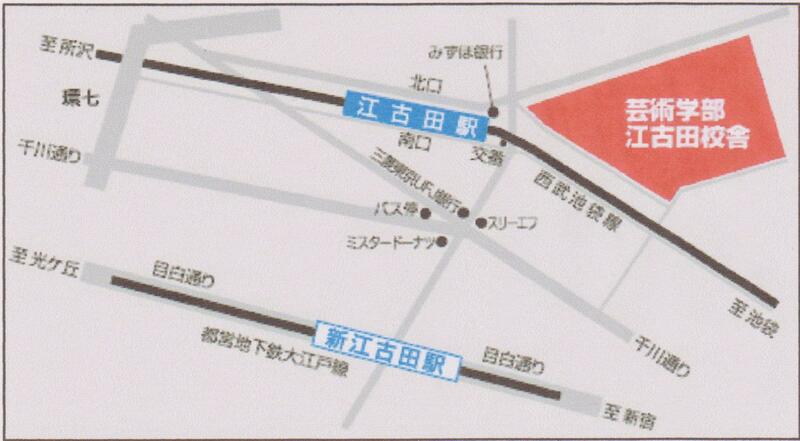 It will be in Kobe this year at Kobe Shoin Women’s University on October 15th and 16th. Please mark your calander and plan to join us. This is also a call for presentation proposals. All published writers, translators, editors, agents and publishers who would like to lead a session are invited to submit proposals. Those who have presented at past conferences are (of course) welcome to submit new proposals. But we especially encourage proposals from new submitters. One of the strengths of the past Conferences has been variety, and the best way to foster variety is to feature new presenters each year. Please forward this to any friend or colleague who would be interested. If you know someone the conference organizers might approach—either living in Japan or planning to visit Japan next fall—please send us your suggestion. If you have contact information, that would be a great help. Detailed information follows, but briefly, a proposal needs to include a brief bio, including publication credits, the type of presentation you wish to make, a title, a summery of 50 words, a longer abstract (150 words) and any special requests you might have. Standard sessions are fifty minutes long, but if you have something special in mind, please let us know and we will accommodate if possible. Presentations on all genres and all aspects of writing and publishing are welcome. The deadline for presentation proposals is June 1, 2011. As in the past, the Conference will be free and open to all who wish to attend. This is possible because all the presenters and organizing staff volunteer their time and talent, and the use of the site is donated by the hosting institution. As a result, the Conference cannot offer any payment, reimbursement, lodging, or help in securing visas or travel permits. So please don’t ask. What information do you have which could be useful to others? What writing, rewriting, editing, or marketing techniques have worked for you? What topic would make for a lively and enlightening discussion? What publishing or other professional opportunities do you know about? What will an attendee take away from your fifty-minute session that he or she will find worthwhile? The only qualification one needs to be a presenter is to have published. This does not mean that you need to have published a lot or in some high-profile journal. Your book (if you have a book) does not have to be on a best seller list. You do not have to have won any awards or to have appeared on TV. You simply need to have written, edited, translated, or otherwise worked on a piece of writing which has made it to the public eye. That is, published. 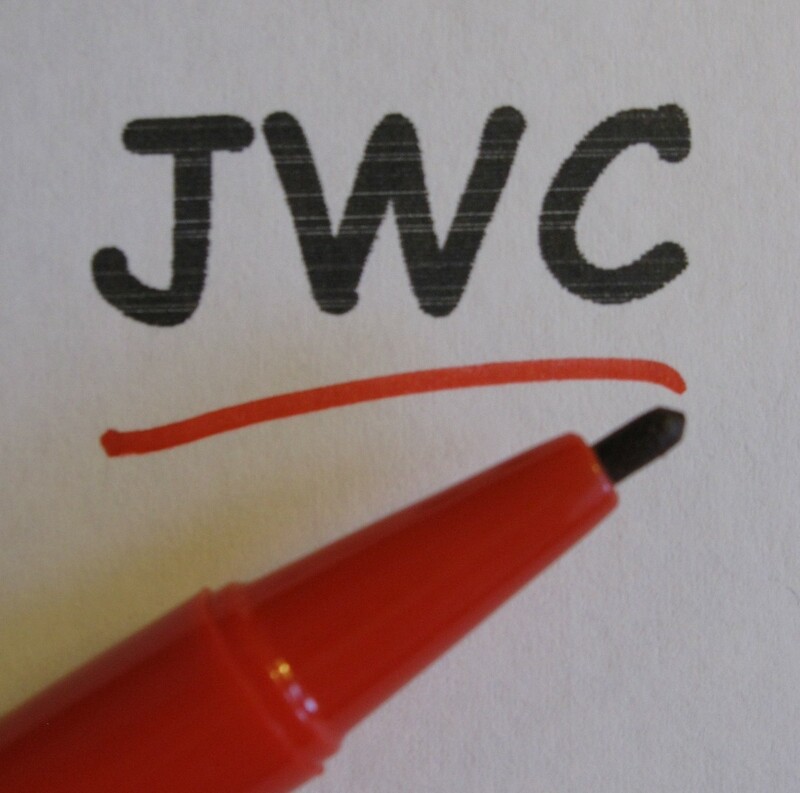 In your subject line give your name, “JWC,” and the date. 9. Anything else, such as special equipment needs or questions. Your proposal doesn’t have to be a “finished” document to submit. There will be time to shape and polish your ideas for a presentation. But there are a set number of session slots available and if you are interested in having one of them, please let us know soon. Again, the deadline is June 1, 2011. Hour-long presentations were going on simultaneously in three different rooms throughout the two-day event, so it was impossible for one person to attend all of them. What follows are some notes on what I learned from some of the sessions I was able to go to. Suzanne Kamata is a novelist (Losing Kei) and anthology editor (The Broken Bridge and Love You to Pieces: Creative Writers on Raising a Child with Special Needs Love You to Pieces) who lives in Shikoku, far from the centers of the English-language publishing world. And yet, she has found ways to market her books. Word of mouth, she said, is the main way books become known. Luckily, the Internet makes that a little bit easier for those of us who don’t live in New York or London. In addition to the obvious advice of promoting your book via Facebook and Twitter, she mentioned one very smart-sounding Internet idea that I would not have thought of: Offer review copies to the hosts of relevant podcasts, and try to get them to interview you. She also suggested networking through organizations such as SCBWI and SWET, both of which are active in English in Japan. For further reading, she recommended the books “A Book is Born: 24 Authors Tell All A Book is Born,” “The Frugal Book Promoter” and “Over 75 Good Ideas for Promoting Your Book Over 75 Good Ideas for Promoting Your Book.” She also mentioned the Web sites “Buzz, Balls and Hype” and “Library Thing,” the latter of which gives copies of books (which you would provide) to its members to review. Visit her Web site here or follow her on Twitter here. Margi Preus lives in America, and she has written children’s fiction based on her own country’s shared history with Japan (The Peace Bell The Peace Bell andHeart of a Samurai Heart of a Samurai). Factual research is important for this kind of writing, but Preus stressed that all the rules of fiction still apply. One thing this means is that your main character must want something. The Peace Bell is a book about an inanimate object – a temple bell that was taken from Japan to the United States after World War II and then returned as a gesture of friendship many years later. Obviously, an inanimate object has no desires that could drive a story (unless, perhaps, it is a yokai story of the type mentioned in John Paul Catton’s presentation, below), so Preus created a little Japanese girl who wants the bell to return. The story is mainly about events in the girl’s life. 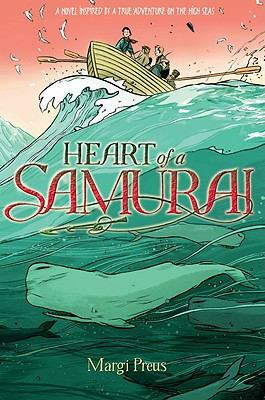 Heart of a Samurai is a novel based on the life of 19th-century historical figure John Manjiro, a teenage Japanese fisherman who, after a shipwreck, was rescued by an American whaling ship and wound up living in the United States at a time when Japan was closed to the outside world. The real-life Manjiro wanted to go home (and eventually did) but Preus didn’t think his desire was a strong enough to serve as the motive for a novel. Instead, she imagined her fictional Manjiro dreaming of becoming a samurai. In Edo period Japan, whose centuries of peace and stability came at a price that included the suppression of social mobility, this should have been impossible. But after Manjiro’s return to Japan, he really did become a samurai. Preus said she wrote her book with the idea that this had been his dream all along. And who knows? Maybe it was. She also mentioned that fiction, even historical fiction, requires conflict – inner conflict, interpersonal conflict, or external conflict. You have to look at the known facts and imagine which type of conflict those facts could support. Also, as with ordinary fiction, you have to decide where to begin. A key factor in choosing an opening scene is looking for an incident or a moment that raises a question about how something is going to turn out. And in deciding what real-life scenes to include in your story, she said, choose the ones that move your story forward (or can be made to) while discarding those that tend to sidetrack. Visit her Web site here. YA stands for young adult, and generally refers to novels aimed at readers in their teens. Thompson has already published fiction on either side of this demographic (“Ash Ash” is an adult novel, and “The Wakame Gatherers The Wakame Gatherers” is a children’s picture book), and she has a YA novel in verse called “Orchards” due out from Delacorte/Random House in February. She also made a distinction between YA fiction and “middle grade” fiction, which is aimed at a slightly younger audience aged 8-12. Middle grade books tend to run from 20,000 to 40,000 words, while YA tends to be 40,000 to 80,000 words – with science fiction and fantasy often running much longer due to their world-building requirements. YA stories may be set in the past but should take place in the protagonist’s present. In other words, the young person should experience the story as a young person, not as an old person looking back. Parents may feature as important supporting characters in middle grade fiction, but they tend to be absent or minor figures in YA, in which the young protagonist has a larger degree of autonomy and lives in a more self-sufficient world where their age-mates are more important. Thompson said that edgy or formerly taboo subjects are OK at the upper end of the YA age scale, but authors should be more cautious at the lower end. Mallet began his presentation by slamming the movie “Lost in Translation,” which got a lot heads in the room – including mine – nodding. He complained that the movie was full of stereotypes, with no sympathetic Japanese characters, and not a single Japanese in all of Tokyo who spoke English well. I would have gone even further myself, and said that there were no sympathetic characters of any nationality. The movie should have been titled “Boring People Feeling Sorry for Themselves.” I enjoyed watching it for the scenery (“I know that street…I’ve seen that view…I’ve even been in that elevator!”), but those were minor, transient pleasures. The rest of the movie left me with absolutely no desire to see it again. But in the West, “Lost in Translation” was showered with awards and got a baffling 94 percent on the Tomatometer. That’s just how it goes. Sometimes I am right and the rest of the world is wrong. Mallett said that it was not surprising for foreign residents of Japan to dislike this movie. To explain why, he cited British novelist and former Tokyo resident Tokyo Year Zero (Vintage Crime/Black Lizard) David Peace as having said that people from the West come to Japan to reinvent themselves, and they construct their own Japan around them while they are at it. Then they become annoyed when someone else’s fictional work contradicts the fiction they have chosen to live in. It’s an interesting observation, but it doesn’t mean that foreign residents of Japan dislike every thing written about the country. For example, books that I have greatly enjoyed in recent years include Barry Eisler’s John Rain series, which begins in contemporary Tokyo before ranging around the world, and Dorothy and Thomas Hoobler’s Samurai Mysteries, a YA series set in the Edo period. Eisler scouted out his locations in person, while the Hooblers did their research in American libraries. In both cases, they created Japans I could believe in. 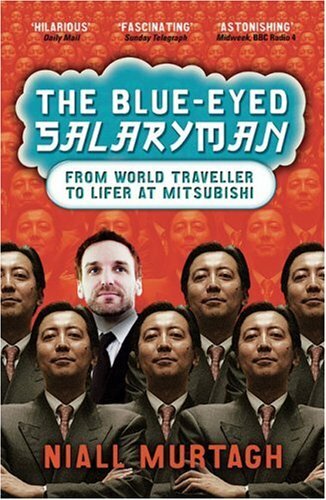 Murtagh won positive reviews for his Japan memoir “The Blue-Eyed Salaryman: From World Traveller to Lifer at Mitsubishi The Blue-Eyed Salaryman,” which describes his experience of working for Mitsubishi Electric. 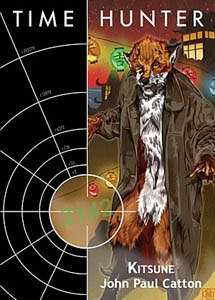 It was published in English, and has been translated into Japanese, German, Russian, and Czech. Sales to publishers of nonfiction are usually made on the basis of one or two sample chapters, so you don’t need to have finished the entire manuscript to start shopping it around to agents or publishers. 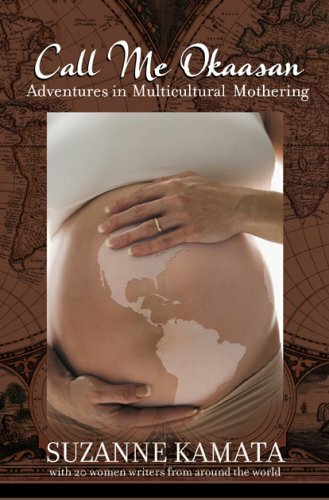 Publishers may want a book to straddle genres for marketing purposes. For instance, his own work could have been categorized as a travel memoir or a business book. Overall tone is more important than overabundant detail. If you are afraid that people mentioned in the book may not be pleased with it, defuse their reaction by making sure to thank them nicely in the acknowledgements. Visit his Web site here. Catton, whose novel “Time Hunter: Kitsune Time Hunter: Kitsune” uses magical kitsune foxes in a modern science fiction tale set in Tokyo, gave an overview of traditional Japanese cosmology and mythology, pointed to some examples of how Western writers have used them (Neil Gaiman in particular), and also suggested ways in which these elements might be further exploited in modern writing. For example, in discussing the ancient character of the Yuki Onna (literally “Snow Woman”) who chills everything around her, Catton rhetorically asked what might have become of the energy represented by the heat she had removed. Answering his own question, he suggested that we imagine an opposite character who heats everything around her. If the two characters were connected by quantum entanglement, the heat absorbed by one could be dispersed by the other – a nifty example of modern physics reinforcing old folklore, and definitely something a fiction writer could work with. He also showed an artist’s rendering of a hypothetical creature that scientists say is what dinosaurs might look like if some of the smaller bipedal ones had survived to the present day and evolved humanlike intelligence. The being looked a fair bit like a kappa, a folkloric Japanese creature with green skin, webbed hands and a beaky face. Again, the fictional possibilities readily present themselves. He discussed the Shinto creation myth and various types of yokai beasties in a similar vein. It was fun stuff. Visit his blog here or follow him on Twitter here. Hayashi is one half of the writing duo (with partner Sasha Tomaszycki) who publish novels under the joint pen name of Gabriella Hewitt. As she described it, the W-plot is a template that is widely used in genre fiction and also screenwriting. It begins with the protagonist’s fortunes falling as they suddenly face a problem, rising as they deal with the problem, falling again as they face a major setback or catastrophe, and then finally rising toward the climax. If you draw this pattern on a piece of paper, it looks like a W.
Hayashi used the movie “Sister Act” as an example, but W-plots are said to be everywhere. Not long after hearing her talk, I watched a vampire movie called “Daybreakers,” which I soon realized also had a textbook W-plot. This year I didn’t just attend the Japan Writers Conference; I gave a presentation myself. I previewed it here, and I’m going to summarize the rest of it in another blog entry. Stay tuned! You are currently browsing the archives for the Japan Writers Conference category.